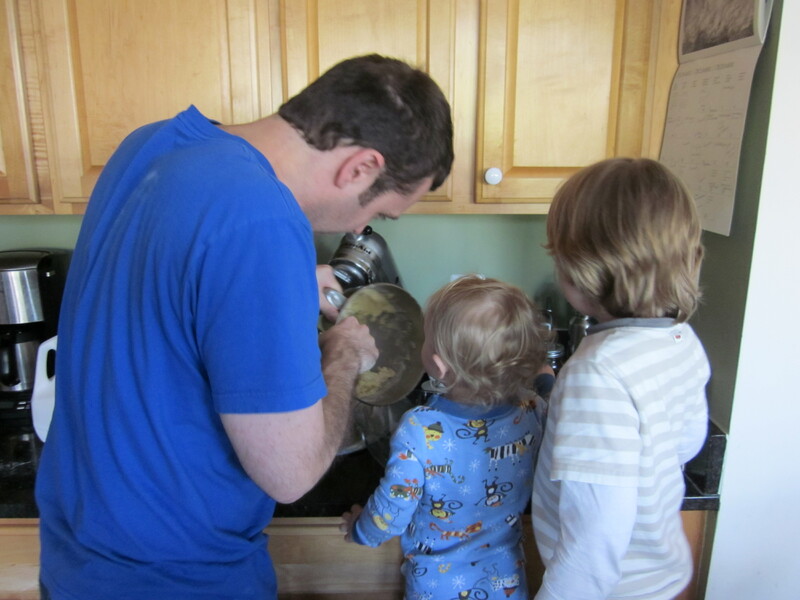 When you are a cook or a baker, one of the aspects of the holiday that lives, cherished, in your imagination is the delightful memories you will make while cooking with your children. 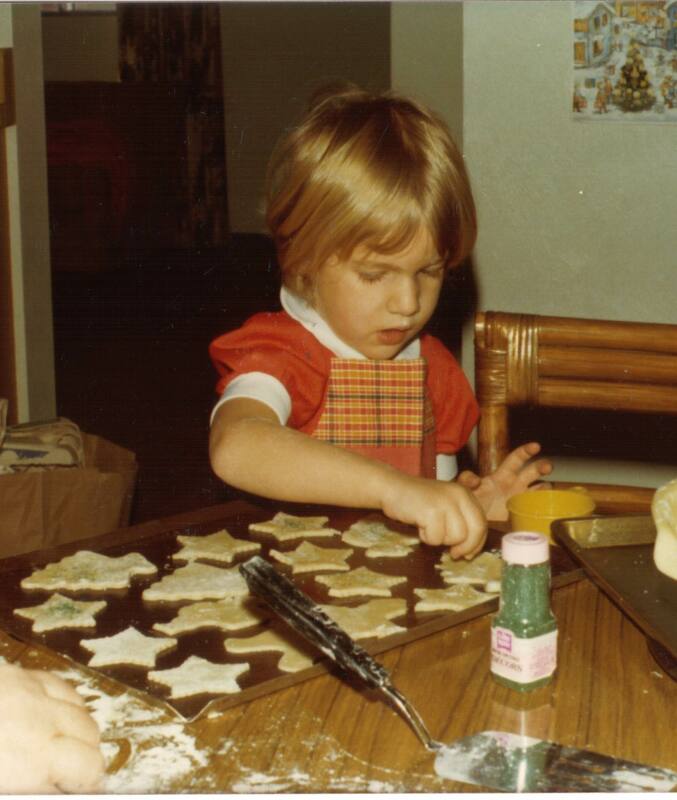 The only evidence I have from my childhood of the making of Christmas cookies is this photo of me baking with my Grammy Ruth in Colorado – probably about 1977. 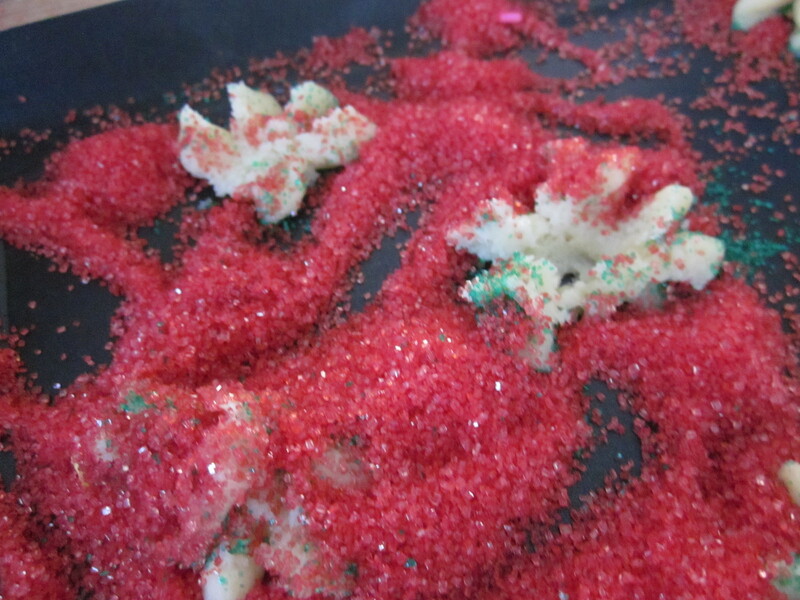 As you can see, I am a model of good behavior and artistic integrity, placing my sprinkles JUST SO. 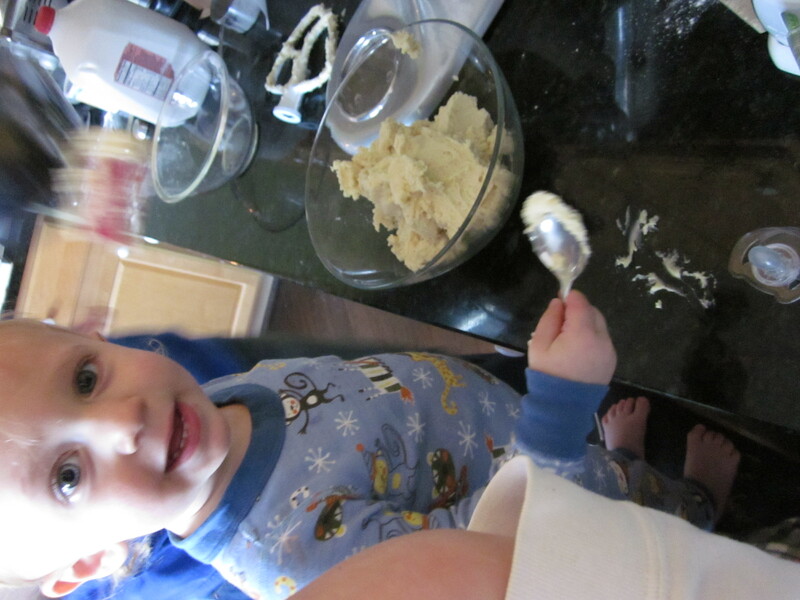 Is it any wonder that I had this fantasy of making cookies with my own children? 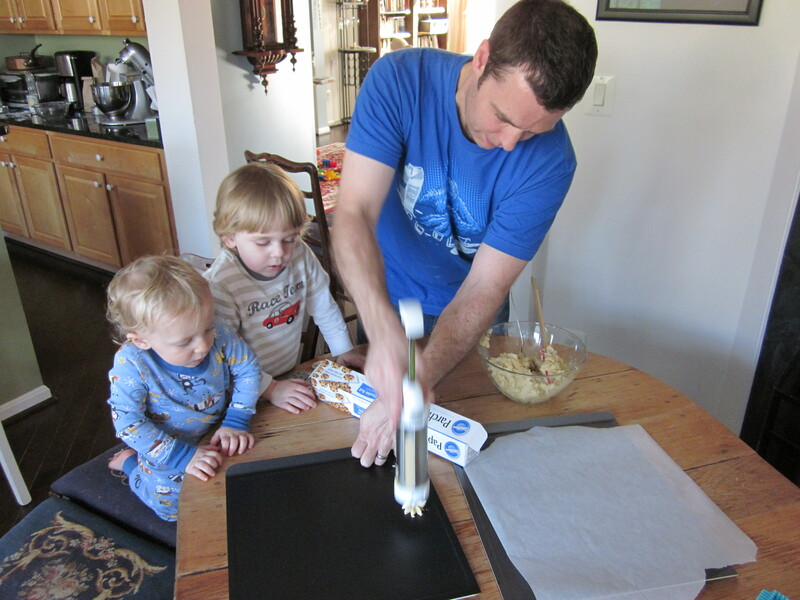 Dan is really the best baker in the house, so he was also anxious to try spritz cookies with the boys. I picked up the appropriate sprinkles and we prepared for a day of Rockwell-esque delights. I am going to let the pictures tell the story, and you can decide if we should give these cookies to the neighbors or not. I am not going to post our cookie dough recipe, though, because it neglects to mention that parents should first take a VALIUM. Fatal omission. Christmas cookie dream. Just as imagined. May your holiday be peaceful and delicious! Here’s wishing you some cookie to go with your sprinkles. I was all for giving them to the neighbours, but then you lost me with the snotty nose. I would however be in agreement with giving them to neighbours if you don’t like them. I love how they dumped all the sprinkles on the same cookie! HA! You know, until you said it, I hadn’t even recognized that as a snotty nose. 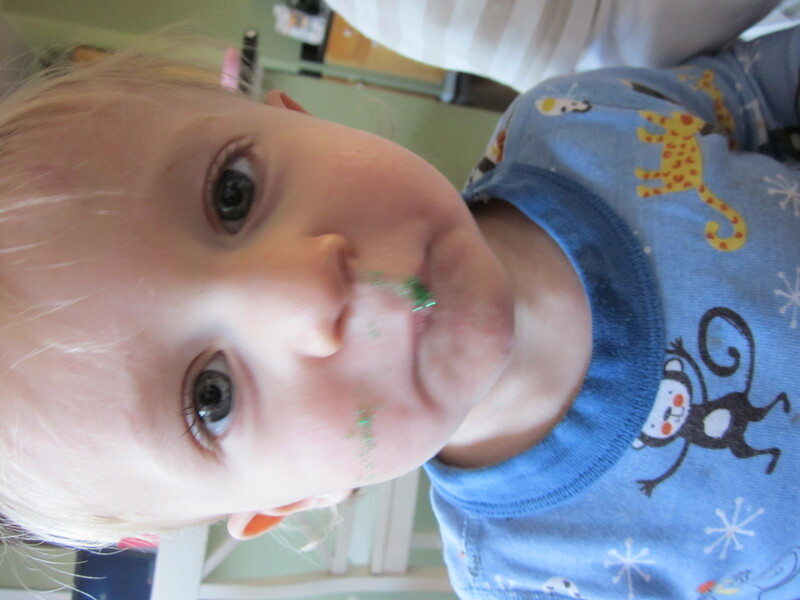 I guess I thought it was just caked sugar…but I agree it is a suspicious formation on his face. Ahhhh, parenthood. How did the cookies taste? They look yummy albeit messy. 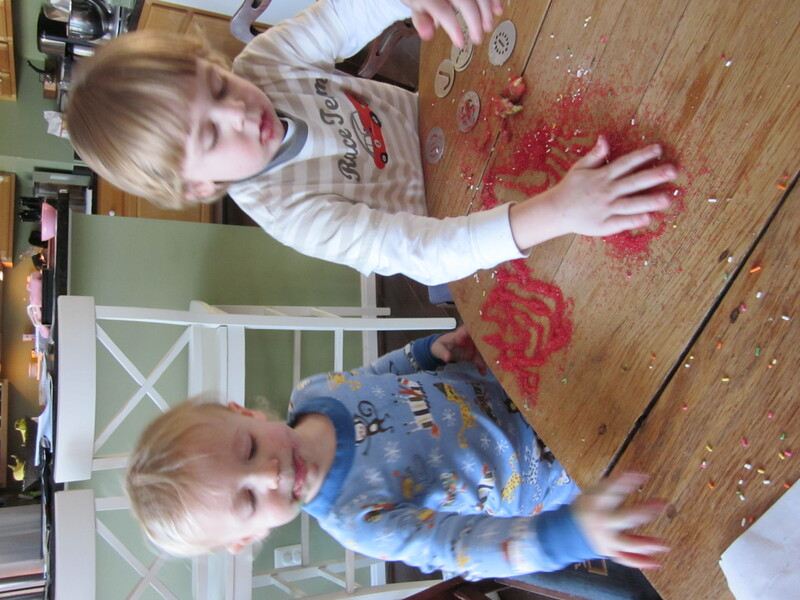 I make spritz too and I’ve had to evict the kids from the kitchen until we are ready to do the sprinkles because they keep trying to grab the cookie press. Josh was very precise with his sprinkling last year to the point that he had to say “prinkle, prinkle” with every cookie. This year, he was obviously subscribing to the William and Cormac School of Sugar Sprinkling. 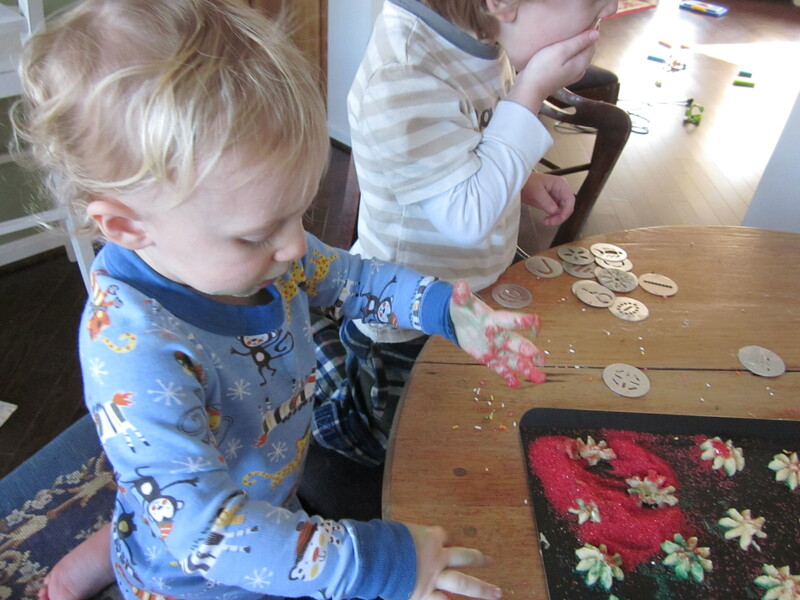 I’m hoping I’ll be able to get them away from cut-out cookies by next year-what a pain! What cookies survived the sprinkle tsunami actually tasted fine. We stealthily completed a tray while they were rapturously consuming pure sugar.